T3 Martial Arts provides world class instruction for the entire family. We offer Brazilian Jiu-Jitsu, Muay Thai, Kickboxing, Strength & Conditioning, and specialized programs for competitors and professional athletes. “No bad things to say about T3MA, the sign-up process is simple with no long term commitments. I felt welcome from my first day. Brazilian Jiu-Jitsu is a highly effective martial art for men, women, and children from all walks of life. 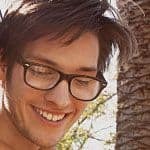 It relies on leverage, timing, and proper technique to overcome larger and stronger opponents. Brazilian Jiu-Jitsu will give you confidence, knowledge, body-dexterity and fitness. We teach in a safe, friendly and controlled environment. T3MA school offer year-round tailored classes for Pee Wee (3-6), Youths (6-14), and Adults. Submission Grappling is a form of Brazilian Jiu-Jitsu where the competitors do not wear a Gi (aka Kimono). Submission Grappling is a cross between Brazilian Jiu-Jitsu and wrestling. T3MA schools include Submission Grappling classes as part of our Brazilian Jiu-Jitsu Programs. The T3MA Program combines the cardio and strength training of Kickboxing. Have an amazing workout while developing speed, strength, confidence and self-defense skills. 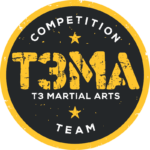 The T3MA Program is perfect for those who are looking to improve their fitness, learn self-defense techniques, or even compete in Muay Thai or MMA competitions. With T3MA Mixed Martial Arts you will learn all about the basics, & fundamentals of MMA. Mixed Martial Arts is a full contact combat sport that incorporates strikes & grappling, both standing & ground fighting, using techniques and disciplines from a wide range of martial arts and other combat sports such as Wrestling, Muay Thai, Boxing, Karate, Brazilian Jiu-Jitsu, and others. It is an amazing full body workout, great for self defense, and fun to learn. If you’ve wanted to learn MMA, compete, or just get in better shape now is your chance! Strength and Conditioning classes are available during our youth martial arts programs so parent can maximize their time in the gym. Get your workout in from our certified personal trainers while your kids are learning martial arts from our world-class instructors! Classes alternate between Bootcamp and Strength and Conditioning format. Strength and Conditioning classes start off with a combination of stretching, flexibility and mobility. Then we transition into interval training to help you burn the most calories in the shortest amount of time. Our Bootcamp will give you the energy of a group workout with the attention of an experienced personal coach. Whether you’re an athlete or just starting your fitness journey, our program is designed for all fitness levels. You will be provided with options that allow you to safely perform movements that work around any physical issues.At T3MA you can train to the level of intensity you feel comfortable with. The T3MA Youth Martial Arts program is designed to help your child develop life-long skills and habits that lead to a healthier lifestyle, more self-discipline, respect for themselves and others, and confidence. 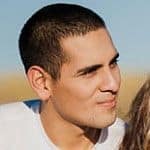 The T3MA program is not a watered down version of our adult program – we teach the same techniques, we have live training, and the classes are taught by our lead instructors to ensure you child is getting the highest level of training. The T3MA Kids Muay Thai Kickboxing program focused on the same skills and techniques as our adult program. Kids will learn the the fundamentals of Muay Thai Kickboxing in a fun and controlled environment. We offer a combined class for youth and adults so the whole family can participate in learning lifelong skills to promote health, wellness, and confidence. Sharing the experience of martial arts with your children helps you connect with them and share common experiences that promote a long lasting common love of martial arts. The T3MA Brazilian Jiu-Jitsu Kids Program has two age groups. Our PeeWee group is for ages 3-6, and our Youth group is ages 7-14. We offer separate and combined classes. PeeWees can join the combined class once they graduate to ensure they are ready to participate with the older kids in a safe and productive environment. The combined classes provide an opportunity for the younger kids to learn from the older kids, the older kids to provide leadership, and a convenience for parents of children that span both age groups. Our lead instructors and their assistants ensure the kids are getting the best instruction in a fun and safe environment. We offer specialized training for kids who wish to compete in local and national tournaments. These classes were developed by our multi world champion instructors to help them leverage the same skills our instructors used to win multiple world titles in Gi and No-Gi Brazilian Jiu-Jitsu, Muay Thai Kickboxing, and Mixed Martial Arts. Please contact us for more information about our competition team and how to register for tournaments and other events. © Copyright Top 3 Martial Arts, LLC | All Rights Reserved.